Medium sized handsome shrub 6'x6' with an upright habit. Flowers develop in winter and the bracts are wine red. 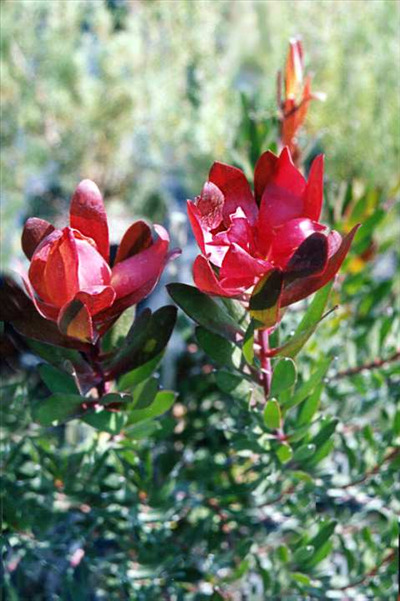 Tolerant of most well-drained soil types and conditions. Excellent cut flower and screen. Growing well in Ojai. Great substitute if Leucadendron 'Safari Sunset' not available as it has same characterists but more compact growth habit.